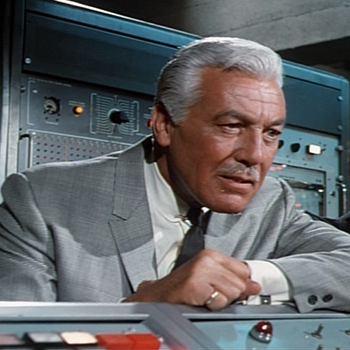 Born one day after Valentine's Day and gifted dashing good looks, Cesar Romero was destined to be a leading man. The towering Cuban entertainer (he stood at 6' 3") was far more than the picture-perfect Latin lover. He played good guys and bad guys, a cowboy and a vampire, a dancer and a magician. The dapper actor owned over 500 suits, but he is best known for a bright purple one. 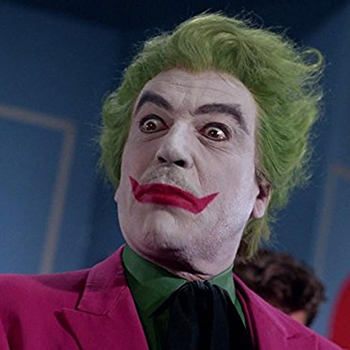 Romero appeared as the Joker in 22 episodes of the camp classic Batman television series of 1966. 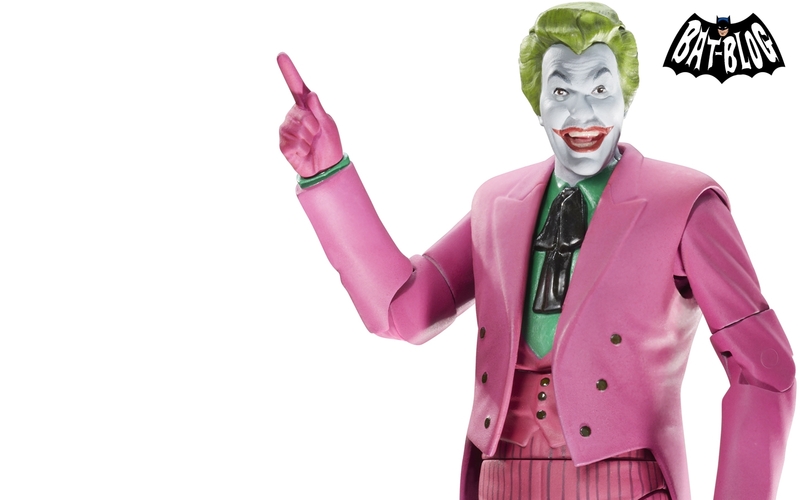 It would be the first live-action depiction of the Joker, when the character was more clown than maniac. Let's salute the Hollywood icon with 11 fascinating facts. His grandfather was a poet and Cuban national hero. 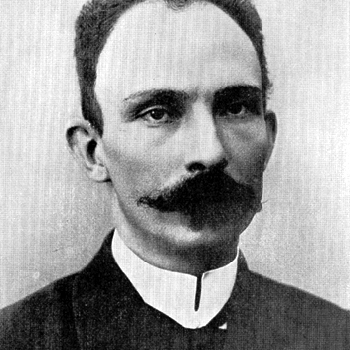 Named the "Apostle of Cuban Independence," José Martí was a key figure in the country's fight to throw off the shackles of Spain colonialism. He was also a legendary poet. The lyrics to the song "Guantanamera" were adapted from his verses. The writer and revolutionary romanced the owner of a New York boarding house, who gave birth to María Mantilla, Romero's mother. He was a legendary dancer, with no formal dancing training. 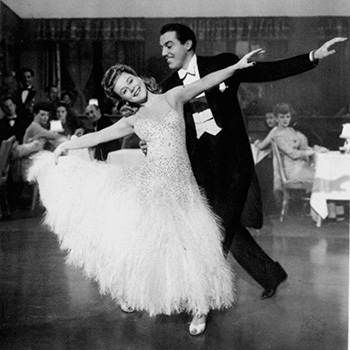 Romero's entry into Hollywood came via the ballrooms of New York City. In 1927, a wealthy woman named Elizabeth Higgins asked the 20 year old to form a dance partnership. The two would light up the floors at dinner clubs like the Ambassador Roof and the Montmartre Café. It was said he had the skills to be the rival of Astaire, and yet he had no dance training. 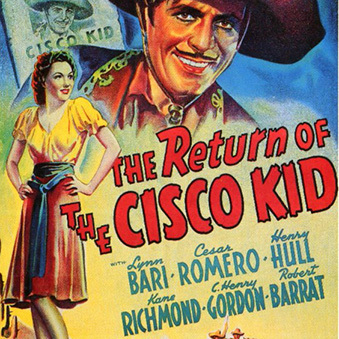 He was in a Cisco Kid movie before becoming the Cisco Kid. Warner Baxter played the titular caballero in the 1939 oater The Return of the Cisco Kid. A little lower on the bill was Romero, who portrayed Lopez. Later that year, Romero would leap from sidekick to leading man when he took over the role of the Cisco Kid, the dashing Mexican Robin Hood. He would play the kid in six big screen flicks. A classic Warner Bros. Merrie Melodies cartoon made fun of his big feet. The wonderful 1941 animated short "Hollywood Steps Out" by Tex Avery lampoons the celebrities of the time. Everyone from Bogart to Bette Davis is shown in a glamorous nightclub. 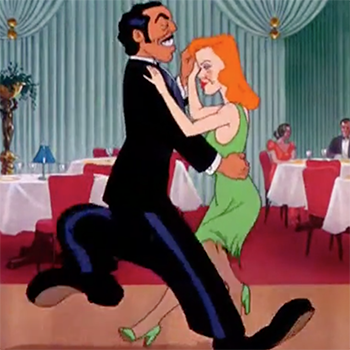 Romero is shown dancing with redhead Rita Hayworth. His big feet have torn off the bottom of her dress. Of course, in reality, he was far more graceful. 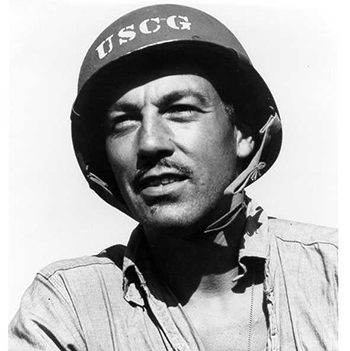 In 1942, the movie star voluntarily enlisted in the U.S. Coast Guard and served in the Pacific aboard the USS Cavalier. He humbly asked for no favors and was just one one the crew, earning the rank Chief Boatswain's Mate. He was in four movies with Frank Sinatra. Many will likely remember Romero as the adversary to the Rat Pack in Ocean's 11. Ol' Blue Eyes and the handsome Cuban also teamed up in Around the World in 80 Days, Pepe and Marriage on the Rocks. He refused to shave his mustache for the Joker. The upper lip was covered in white clown paint, though the hair can still be clearly seen in most shots. The look became so associated with the character, it has even been reproduced in modern action figures. It makes the character appropriately demented, in a way. Looking at his grandfather, we can understand why he was so proud of the 'stache. He is the only actor to portray the Joker who did not receive an Oscar. Warner Baxter won an Oscar for the Cisco Kid, and Romero did not. To rub salt in that wound, Jack Nicholson, Heath Ledger and Jared Leto all scored a little golden man trophy, too. (Albeit, only Ledger won for the Joker, while Nicholson was nominated.) Give respect where it is due! He was also the criminal mastermind A.J. Arno in three Disney films. 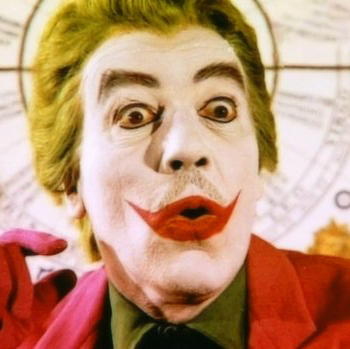 The younger siblings of Batman fans likely grew up watching Romero as another dastardly villain, A.J. Arno, in Disney's madcap Medfield College comedies, all starring a young Kurt Russell. The first arrived in 1969, The Computer Wore Tennis Shoes, which spawned the sequels Now You See Him, Now You Don't and The Strongest Man in the World. In each of the movies Russell's Dexter character somehow gets superpowers (memory, invisibility, strength) to thwart Arno. 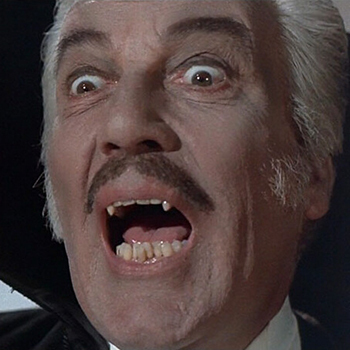 No, that is not Christopher Lee with a mustache. 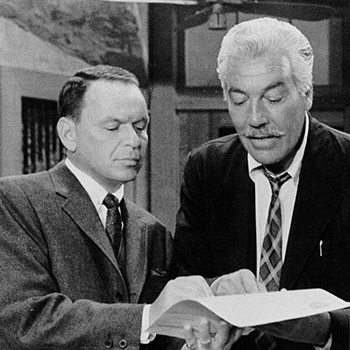 Romero played the infamous bloodsucker in Rod Serling's Night Gallery series, in the episode "A Matter of Semantics," wherein the count visits a blood bank. He had a clothing line for men's suits. 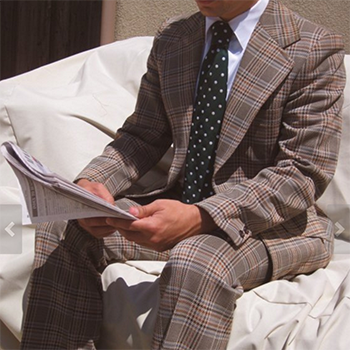 The sharp-dressed man reportedly owned over 500 suits. 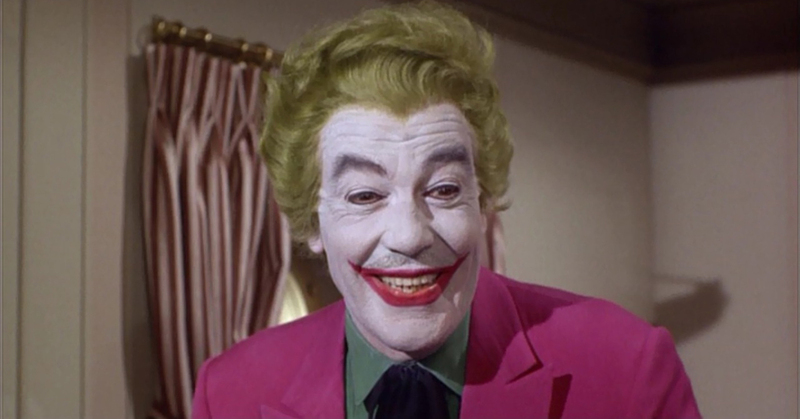 He returned his satorial gift to the public in the form of a clothing line, Cesar Romero Ltd. That plaid number is one of his suits from the early 1970s.